When I was younger, my family had a smallholding with a few animals including chickens, ducks, geese, and a few goats – one or two billies and several nannies. Thinking back to these goats made me think about what they can teach us about work in command-and-control organisations. The characteristics of goats, especially curiosity, independence and foraging behaviour, highlight to me how command-and-control organisations need goat thinkers – constructive rebels including systems thinkers, design thinkers, and humanistic thinkers – to survive. Goats are independent animals, happy to go their own way as well as with other goats. They don’t follow for the sake of following, but rather for the sake of curiosity. Sheep are very much herd animals, conforming with the flock and obedient to the shepherd/sheep dog. In safety-related and other organisations, goat thinkers are not hard to spot. They are usually the ones who expose gaps and unearth opportunities. You will find goat thinkers foraging on a wide variety of material from different fields – more complex, interrelated and challenging. Goat thinkers naturally think outside the pen and so will see beyond artificial boundaries. Goat thinkers need to find out more about what they don’t know – forever a learner – not more about what they already know. They are led by the shepherd of curiosity – constantly finding out more about developing situations, asking difficult questions of themselves and others, admitting and embracing uncertainty, challenging assumptions, decisions, mindsets, and authority. Goat thinkers are the seekers, the questioners, the non-conformers, the innovators and – in some cases – the whistleblowers. 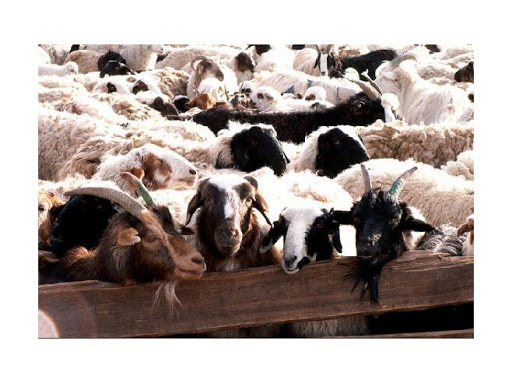 Frustration: Goat thinkers in a command-and-control organisation can be frustrated as new perspectives are resisted. Finding the right levers for change is important. Working on the wrong levers, such as died-in-the-wool sheep and die-hard refuseniks, is a waste of time and energy. Patience and constancy of purpose are key.